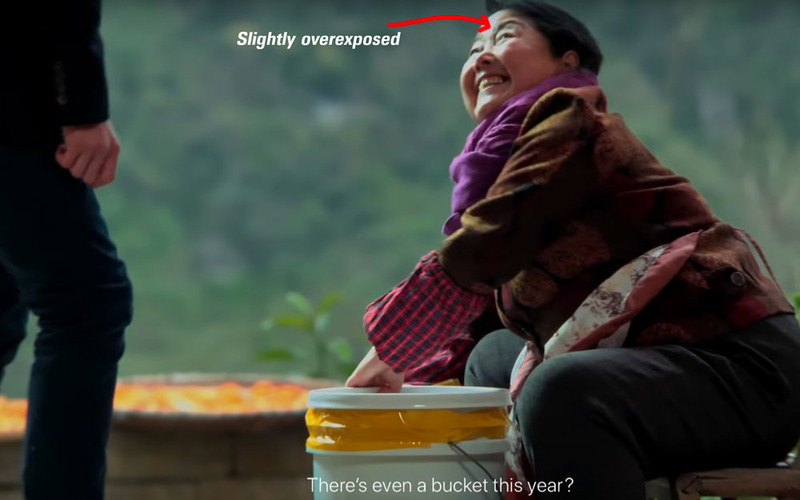 This short film, "The Bucket," was shot on an iPhone XS and directed by the Chinese film director Jia Zhangke. It depicts a simple story of a young man who has been in the country with his mother for the Chinese New Year. He goes back a long and exhausting way to the big city with an unusual baggage his mother insisted on taking: a heavy tape-sealed bucket. The story made me smile and appreciate the simple things that can make a beautiful film, yet without flying robots and explosions. Of course, Apple makes that for marketing their iPhone X series so that it brings them more profit. That particular film emphasizes on the capability of the phone of faking a shallow depth of field very convincingly. While it's a nice product, I am more interested in the way the film was shot, because the truth is, it can be made with almost any camera that is capable of capturing video. Shallow depth of field looks cool indeed, but it is not essential for that film. 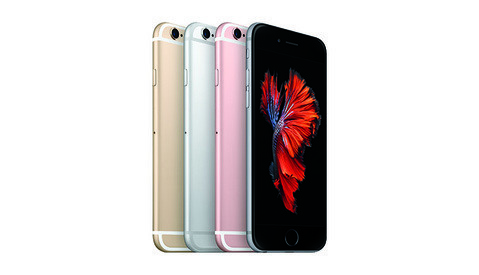 More phones on the market start to incorporate that new technology of faking the bokeh effect. Let's leave the blurred background for now and focus on how the film was shot and directed. If you look at the ending credits you will find that "shot on an iPhone" doesn't mean the whole budget was spent on a smartphone. 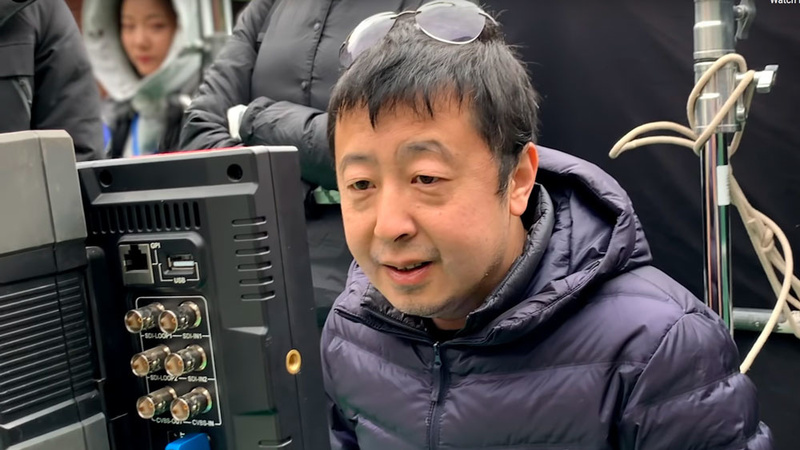 The film was not shot by Jia Zhangke alone while traveling through the country. In the following behind-the-scenes videos you will see the production was far from being a no-budget one. They had a director of photography, casting director, sound engineers, hair and makeup artists, music composer, 1st AD (assistant director), 1st AC (camera assistant), editor, colorist, and even a VFX compositor (yes, the movie incorporated visual effects whether you see them or not). The size of the production doesn't have anything to do it with the fact it was shot on a mobile phone. It could be shot on any other camera with the same emotional impact. Of course, in this case Apple takes credit for their video-capturing device, but, for example, the sound was not recorded with the phone. The lighting was not created by the phone. The framing and composition was not crafted by the mobile device. The phone was only used to capture the visuals (probably with an exception for the areal footage). 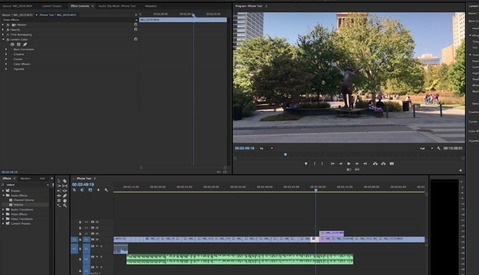 It is possible that parts of the footage may have been altered, such as applying a sky replacement, which sometimes happens even if high-end cinema cameras are used. Some key frames from the film that are composed in such a way, they tell a story in a single image. When I started working with video I thought if I knew how to light, it would be enough to make nice films. I couldn't be further away from the truth. That craft is way more than lighting. It is what you put in the frame or hide from the frame, and the way the frames are sequenced together with a proper sound. Mastering that will bring your films to a whole new level even if you don't have high-end cinema gear. The camera on the iPhone has a good dynamic range which makes it relatively well-suited to high-contrast situations. Despite that, you can still guess this was not shot on a real cinema camera, because the slightly overexposed areas make it look "digital." The same thing happens when shooting video with DSLRs. However, the director and the cinematographer did a great job using the camera in situations where the contrast was not extremely high. They used the overcast weather to their advantage. For lighting on several of the BTS scenes we see lights that look like the ARRI Skypanel LEDs. No other lighting is visible from these videos. Usually when shooting outdoors during the day, directors of photography tend to use black panels for subtracting light, because it's abundant and sometimes too much. 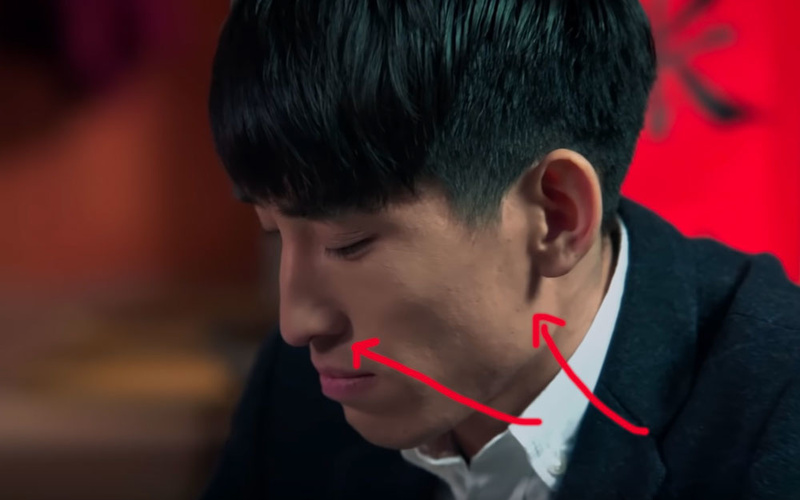 On close-ups they probably used the same LED panels, because the light is not harsh, but it not that soft as if it was coming from a bigger light source. See how the shadows are not absolutely hard, but have a soft edge at the end. This means the light source is not so small in relation to the subject. 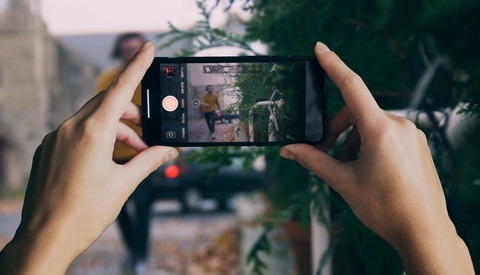 There are apps that help you simulate focus pulling on an iPhone, but if the camera is in motion every touch on the screen will shake the camera whether or not it's on a stabilizer. You can see focus racking in some of the locked off shots (with the camera on a tripod). 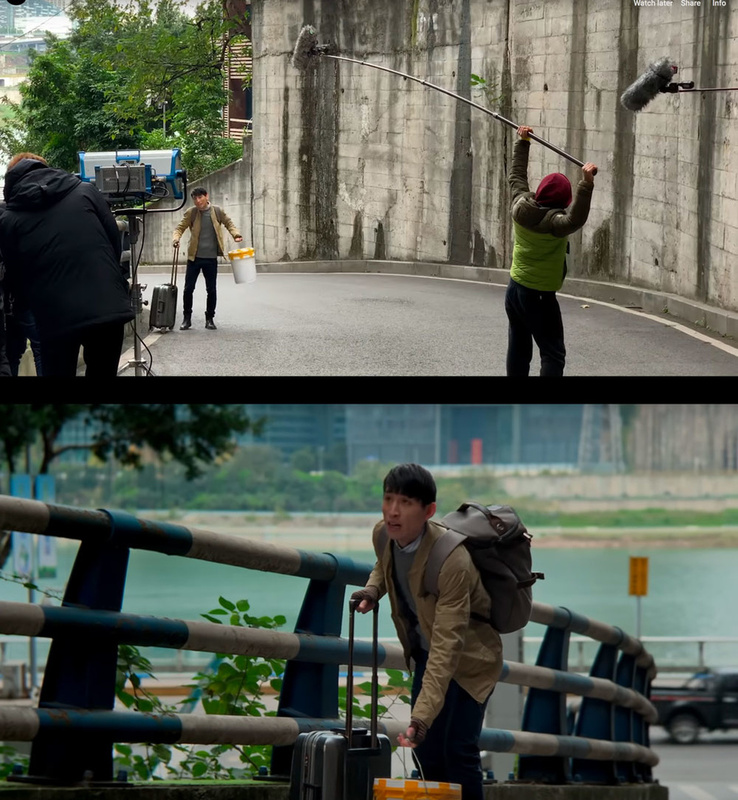 On scenes such as where the mother sends off her son, the distance between the camera and the subject in focus is maintained almost the same. This way there's no such need for focus pulling. This is one of the examples how to shoot within the limits of your gear. You can also see audio was recorded on external professional recorders, not on the iPhone. The audio from the phone is probably used only as a reference for synchronizing later in post, as there's no time code to use. This film is an example that demonstrates that don't need a high-end cinema camera and expensive lenses to create a moving and an emotional story. Knowing your camera limitations is an essential technical skill. If you study its performance under different lighting scenarios you will be able to keep it away from scenes it can't handle and use it only where it will capture moving images in a better way. None of the cameras today will help you capture cinematic footage unless you design your film with nice lighting, composition, and appropriate directing. The camera is an important tool, but not that important for such productions where the actual story is crafted and shaped by skillful people. If some of you are still angry that this is yet another "shot on an iPhone" article, I encourage you to go and make one with a different smartphone, because it's doable. You already know what it takes. It's not the phone, it's the team. I seem to have missed that one. I'll check it out, thanks! How did they get the bokeh effect in video mode? I don't have the phone, but I see it works somehow. 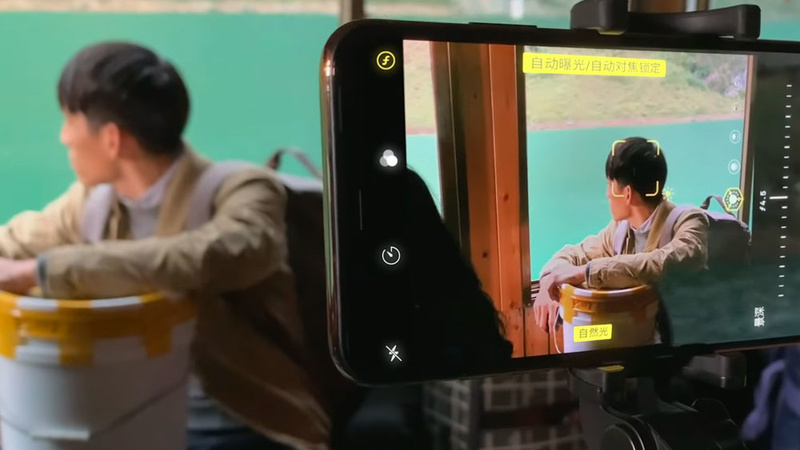 In one of the BTS videos you can see that the phone does that during the "live view." My reply was based on other commercials for iPhone X where in the live view they show you can control the depth of field and you see the result immediately on the screen. This is also visible on a BTS video I have linked above. I'm glad it helped Jason. Thanks for the feedback! You can replace all other gear with cheaper options and you will still get the same result. You can use a cheaper LED panel, a cheaper sound recorder, or cheaper microphones. 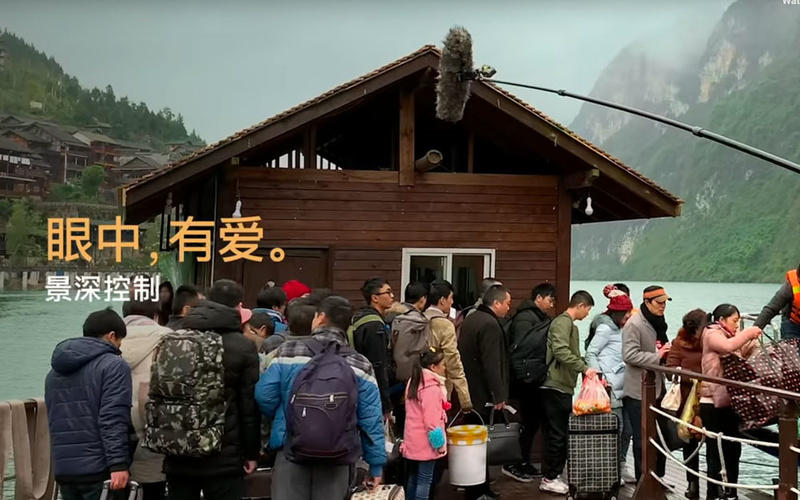 The team, logistics, and actors are the most expensive part of the project. Just imagine you have to pay every single one of the people you see in the frame, you have to get them sign a document they agree to be filmed. You have to rent the bus, the boat, the house. You have to pay the cinematographer, the 1st AC, the 1st AD, the hair and make-up artists. You have to cover travel expenses, etc. At the end your gear cost will be a small fraction of the project. And, by the way, for most big projects gear is rented. Quite a bold move to make a feature film no a low dynamic range recording device. I hope the story covers all the visual imperfections of the camera. If it does, it's all good. Those megapixels were for stills only, not for video. They were not real megapixels in terms of photodiode-to-pixel relation. What matters is the dynamic range which was not great for that camera, but nevertheless they did a whole film with it. smartphones and bridge cameras with tiny sensors = 6~8MP max could work really fine IF prosumers ridiculous demands and marketing hoopla allowed that, but 20MP in some mini digital cameras is but a HUGE lie as we can see in the final image results! It brings us back to the point... a good photographer can use most any camera, working within its strengths and limitations. The same goes for framing the shot: a good photographer knows what not to include in the frame.